President Trump believes his emphasis on immigration is critical to rallying his voters this fall, and he may be right. They may care more about the promise of a wall than they have about his promise that Mexico would pay for it. "We're on track to hit the highest annual average growth rate in over 13 years. And I will say this right now, and I'll say it strongly: As the trade deals come in one by one, we're going to go a lot higher than these numbers." Most economists may be skeptical about going "a lot higher" or even sustaining the current pace into the fall. But we just had a surge, so why not assume it will continue? It certainly makes a good story looking forward from today, and in a world of not just daily journalism but minute-to-minute media, what else really matters? The president has also said that NATO allies will raise their defense outlays to exceed previous commitments they had never met. He then said he wanted to double those never-met targets. 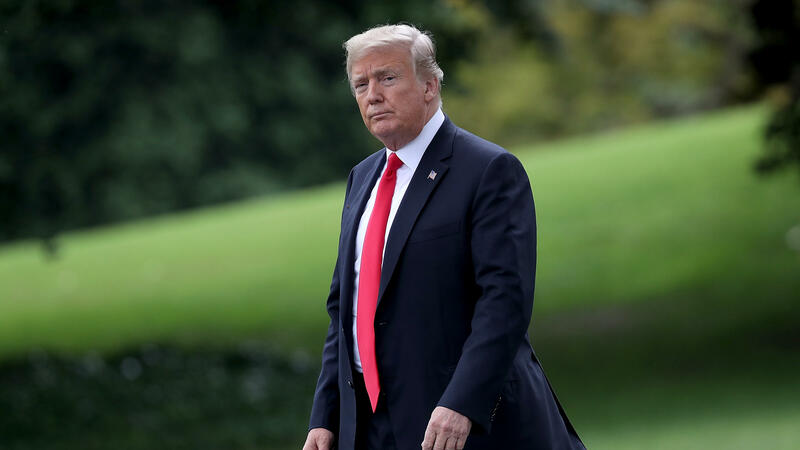 Moreover, Trump has also said the European Union has agreed to work toward a world of zero tariffs and trade barriers and to buy vast stores of American soybeans and natural gas. "I'm not sure how much to make of [those statements]," said FOX News contributor John Bussey on Monday. Bussey, a financial editor for The Wall Street Journal, said the actual European commitment had been well shy of a hard promise. He said Europe's need for these U.S. exports was dubious and would be determined by its markets rather than by politics. Yet on Monday, standing alongside Italian Prime Minister Giuseppe Conte, Trump promised that Europe would build up to 11 new ports to import liquefied natural gas from the U.S.
Trump's promises can also take the form of threats. Over the weekend, his Twitter finger pointed to a federal government shutdown in the fall unless Congress delivers funding for his wall on the Mexican border (and other changes to immigration policy). That blindsided Republican leaders in the House and Senate, who thought they had a deal with Trump last week (and perhaps a promise?) to put off any showdown over the wall until after the midterm elections. On Friday, in fact, Senate Majority Leader Mitch McConnell, R-Ky., had been asked on the radio about a shutdown and had said simply: "That won't happen." That morning, House Speaker Paul Ryan, R-Wis., said he and McConnell had discussed the issue with the president and reached an understanding. But then came Sunday and this tweet from the president: "I would be willing to 'shut down' government if the Democrats do not give us the votes for Border Security, which includes the Wall!" "Personally, if we don't get border security after many, many years of talk, I would have no problem doing a shutdown. It's time we had proper border security, we're the laughingstock of the world." Trump may not have a problem, personally, but Ryan and McConnell do. They know shutdowns can be hard to explain when your party controls both ends of Pennsylvania Avenue and there are midterm elections in November. Then Tuesday afternoon, the president triple downed on the shutdown threat in two more tweets. "I don't care what the political ramifications are, our immigration laws and border security have been a complete and total disaster for decades, and there is no way that the Democrats will allow it to be fixed without a Government Shutdown... ," Trump wrote, adding "A Government Shutdown is a very small price to pay for a safe and Prosperous America!" The president believes his emphasis on immigration is critical to rallying his voters back to the polls this fall, and he may be right. They may care more about the promise of a wall than they have about Trump's promise that Mexico would pay for it. Or, perhaps, his promise that workers would experience a new world of buying power this year because of the tax cuts signed into law just before Christmas. Lower taxes have drastically reduced federal tax revenue from corporations this year and provided windfalls for some (mostly affluent) taxpayers. But polling suggests the benefits have not been felt across the board, prompting some Republican candidates to stress other issues in campaign ads this summer. The president has also projected a number of other events and outcomes that remain over the horizon. He says North Korea will completely dismantle its nuclear weapons and missile program. Yet hours after he repeated this Monday, The Washington Post reported that U.S. intelligence believes North Korea is preparing a new generation of missiles. Another adversary has replaced North Korea in Trump's crosshairs. Iran will either end its trash talking of the U.S. or "SUFFER CONSEQUENCES THE LIKES OF WHICH FEW THROUGHOUT HISTORY HAVE EVER SUFFERED BEFORE." The all-caps style in this tweet was the president's way of making this threat a little more audible. In any event, any of these confrontations looks preferable as a subject for presidential attention compared with the persistent threat posed by federal investigations into his 2016 campaign, his administration and his own affairs. On this front, the promises that make news are coming not from Trump himself but from the investigators. Most of these promises, too, are far from full flower. At this stage, most are still sprouting or budding, and some may still be seeds germinating in the ground. First to bloom may be this week's trial in federal court across the river in Alexandria, Va., where former Trump campaign chairman Paul Manafort faces charges of money laundering and tax evasion. Prosecutors for special counsel Robert Mueller are likely to say Manafort made millions as a consultant for a Ukrainian regime linked to the Kremlin and Russian President Vladimir Putin. That promises to refocus the nation on the Trump-Putin relationship at a time when 51 percent of voters in a recent poll said they believe "that the Russian government has compromising information about President Trump." Aware of what the Manafort trial portends, the president has promised to make an issue of what he calls conflicts that might affect Mueller's judgment. What are these conflicts? Details to follow, perhaps. Trump attorney Rudy Giuliani says it's up to Mueller to reveal them. Then we have a mounting threat from the separate federal probe of Michael Cohen, the president's former lawyer who had an office in Trump Tower and who once said he would "take a bullet" for his boss. That pledge of fealty has fallen by the wayside since a series of raids produced a trove of Cohen's records and recordings that are now in federal custody. Now Cohen is sending signals he might be willing to cooperate with various federal prosecutors in exchange for favorable treatment in his own case. Giuliani has called him a "scumbag." And last week, The Wall Street Journal reported that prosecutors looking into Cohen's business affairs have subpoenaed Allen Weisselberg, the Trump Organization's longtime chief financial officer. And let's not forget yet-another, far-less-noted case that promises to be problematic for the president even if he ultimately prevails. The case alleges the Trump hotel in downtown Washington, D.C., violates the Emoluments Clause in the Constitution that limits the sources of a president's income while in office. A federal judge has allowed that case to go forward, adopting a broad interpretation of the term "emolument" that might include ordinary profit from the hotel. It is at least possible this will surface information about Trump's long-submerged tax returns. So forget about August doldrums. In the news, the weeks ahead appear more than promising.